Haq's Musings: Can the Taliban Defeat and Destroy Pakistan? While some Pakistanis, including major political leaders, are afraid of speaking out against the Taliban, other Pakistanis are taking the challenge posed by the insurgents lightly. They are underestimating the power and the capacity of a rag-tag band of barbarians to bring down the Pakistani state and take control in the nation's capital in Islamabad. It's important for Pakistanis to learn from history to end such complacency. 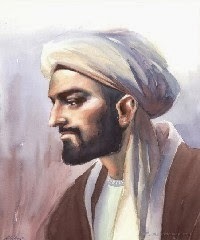 Famous medieval Islamic historian Abd ur Rehman Ibn Khaldun (1332-1406) argued in his masterpiece "Muqaddima" that tribesmen and barbarians have often had more courage and social cohesion than settled and civilized folk. He cited many instances in history when rag-tag bands of ill-educated and uncivilized insurgents have swept in and conquered lands whose rulers became corrupt and complacent. History is witness to the fact that great empires were brought down by relatively unsophisticated but highly committed armed groups of fighters. Roman empire was destroyed by blue-eyed barbarian tribes from Northern Europe. Persian and Byzantine empires were brought to their knees by desert-dwelling Muslim tribesmen from the Arabian Peninsula. Thriving Islamic Caliphate of Baghdad in what is known as the Golden Era of Islam was sacked by Mongols and completely destroyed. China, too, was conquered and ruled by Mongols. India was repeatedly attacked and conquered by invaders from Europe and Central Asia and ruled by their dynasties for centuries. The Taliban attacking the Pakistani state are not fundamentally different from earlier generations of barbarians and tribesmen in history. They have shown that they, too, are highly committed and willing to die for whatever they believe in . They are clear in their aims and ready to use whatever means it takes to achieve their goals. They have been relentless in their attacks on the Pakistani state and civilian population. The response of the Pakistani leadership has so far been highly confused in the face of concerted Taliban efforts to destroy the Pakistani state. There is a lot of talk about "peace talks" but it's not clear what they are going to talk about? The Taliban have made it clear that they do not accept Pakistan's constitution. They have rejected democracy as a system of governance. They have stepped up their attacks on state institutions and Pakistan's security apparatus. They have unleashed a reign of terror and killed tens of thousands of civilians in the last few years. And they are adamant about implementing their version of "Shariah" which top Islamic scholars do not accept as authentic. Are Pakistani political leaders willing to compromise on the constitution of Pakistan? Or the democratic process? Or Pakistan itself? Are they willing concede defeat to a band of barbarians without a fight? Pakistani leaders need to develop necessary consensus to fight the existential challenge posed to the nation by the Taliban and their allies in Pakistan. They need to declare war and show determination, not weakness, in the face of relentless Taliban attacks on innocent civilians. They must remember that it took Sri Lanka a long sustained effort spanning decades to win against the Tamil Tigers (LTTE). 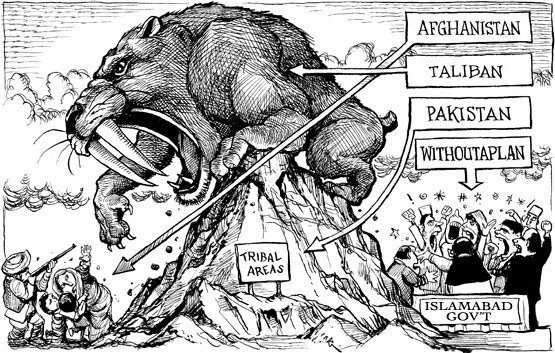 It will take a long and sustained effort for Pakistan to win the war on Taliban to preserve Pakistan. It's time for Pakistanis to learn the lessons of history to chart and stay the course. Once there is a clear strategy and plan, I am confident that the Pakistani state and its military will eventually defeat and destroy the Taliban. waisay Taliban sey ziyada armed aur organized aur sophisticated to wo barbarian groups hein jo Amreekan heartland mey white supremacist militias key surat mey rehtay hein, wo Amreeka constitution ko nahi mantey aur amreekey government ko Zionist occupation government karar detay hein. Americans have learned from history that when a nation or empire becomes too “civilized” and too “settled”, it becomes prone to being over-run by hordes of barbarians. That’s why America responds to challenges posed by its enemies with overwhelming force. George Friedman in his book “Next 100 Years” says that “America, like Europe in sixteenth century, is still barbaric (a description, not a moral judgment). Its culture is unformed. Its will is powerful. Its emotions drive it in different and contradictory directions”. Great piece, Riaz Saheb. I think part of the solution would be for the government to put the police force of each province under the charge of a serving or recently retired army general, who would weed out corruption in its ranks, say f.o. to political interference, and turn it into an effective fighting force. The enemy is well-entrenched within the country, and the army alone can't fight that. To effectively overcome the problems posed by TTP (and compounded by political violence in Karachi particularly), part of the solution has to be an empowered, depoliticised police force with sufficient numbers to get around the issue of lack of coverage. Then there's the issue of judicial system choking...due to the outdated laws in place, conviction rates remain woefully low for apprehended criminals. Without these 2 issues being addressed, law and order will remain problematic. All I can say is that things are not as bad as they appeared to be, they are much worse. 1- It is now proven beyond doubt that JI is an integral part of TTP. Not only have TTP expressed confidence in them but JI have openly accepted and welcomed it. So any suggestion of JI being a democratic liberal entity is a fallacy. 2- Imran Khan is either a TTP plant in mainstream politics, or stupid beyond expectations. It will be interesting to see how the PTI supporters justify this act as they've been religiously justifying all that he says. Another pointer to the clueless line of thought of our educated middle classes. 3- Democracy in Pakistan is furthering Talibanization beyond expectations, so our opinion leaders should think of alternatives to the "democratic" system which is destroying the social fabric of the country. "The very agenda of social sciences, why and how change occurs in society, was mapped by Ibn Khaldun who produced a coherent body of analysis of why societies rise, peak, and wane. Ibn Khaldun spread himself across so many disciplines and spheres of work, one wonders how so many activities fit into a single CV. Ibn Khaldun was born in 1332 in Tunisia to a family with a tradition of diplomatic service in Spain and the Maghrib, and he initially followed in his family’s footsteps into a diplomatic career that took him to act as lead negotiator in several diplomatic missions, but he fell from favour at court and chose to move to Egypt where he served as a senior judge until his death in 1406." Ibn Khaldun’s definition of entrepreneurship, such as it is, works well, however. It is anchored in his outlook as a devout Muslim who finds guidance in all things in the Koran. A merchant “strives to make a profit, so that he may spend what God gives him to obtain his requirements and necessities through barter.” This sentence flows so smoothly one might skim over the reference that a merchant’s profits have their source in “what God gives him.” However, the connotation of these words resonates deeply, as the Koran has a term for God’s bounty, rizq, a term which may be the origin of the term we use today to describe that aspect of enterprise that is the quintessence of entrepreneurship: risk. This whistle-stop tour of Ibn Khaldun’s Muqaddimah is but a sampler of his work but may have said enough to show Ibn Khaldun pushed the boundaries of historical scholarship out into social science. In Europe, Ibn Khaldun’s works reached a wider audience when they were translated in the nineteenth century, at a time when social sciences in Europe even then were in their infancy. But even today, Ibn Khaldun’s work has aged well and his insights often are as fresh as they were when he penned them. It may have startled some readers to see Ibn Khaldun articulated many notions centuries before they were expressed in the West. The Laffer curve is one example, but there are others, such as John Marshall’s dictum, “the power to tax is the power to destroy (1819),” and William Graham Sumner’s “forgotten man” who ends up bearing tax burdens (1883). But Ibn Khaldun matters not only as an ideas man ahead of his time. Ibn Khaldun lived through an age of frequent regime changes that threatened corrosion of the Islamic realm from within, and foreign invasions visited devastation across the Middle East. Ibn Khaldun lived in an age of despair but did not much care for a quiet life. On the contrary, he wanted to look threats in the eye, and one of his travels took him to an encounter with the feared warlord Timurlan, a meeting that Ibn Khaldun recorded at length in his autobiography (another of his vast range of works). If turmoil had an effect on Ibn Khaldun, it must have been as a spur to learn about different societies, and what is urgent today about the achievement of Ibn Khaldun, who did not flinch from engaging with policy-making at the highest (and most dangerous) level, is that he demonstrated how to combine firm religious orthodoxy with irrepressible curiosity in mechanisms of social change. Dr. Benedikt Koehler is a historian and former banker, specialising in early Islamic economics. Koehler delivered the inaugural lecture for the Legatum Institute’s “History of Capitalism” course. Facebook’s CEO Mark Zuckerberg has committed to reading an important book every two weeks as part of his 2015 New Year’s resolutions, and up next is “The Muqaddimah,” a 14th century tome written by Islamic historian Ibn Khaldun. The book, whose title translates to “The Introduction,” traces the progress of humanity while attempting to remove the biases captured in historical records and reveal the universal elements that connect us. It is often considered the most important Islamic history of the premodern world. Kaldun, a lauded Arab scholar, is credited as one of the foundational thinkers of modern sociology, ethnography, and the philosophy of history. Facebook CEO Mark Zuckerberg’s 2015 New Year’s resolution was to read an important book every two weeks and discuss it with the Facebook community. Zuckerberg’s book club, A Year of Books, has focused on big ideas that influence society and business. His selections so far have been mostly contemporary, but for his eleventh pick he’s chosen “The Muqaddimah,” written in 1377 by the Islamic historian Ibn Khaldun. “The Muqaddimah,” which translates to “the introduction,” is an early attempt at stripping away biases of historical records and finding universal elements in the progression of humanity. Ibn Khaldun’s revolutionary scientific approach to history has established him as one of the foundational thinkers of modern sociology and historiography. The influential 20th century British historian Arnold J. Toynbee described “The Muqaddimah” as “a philosophy of history, which is undoubtedly the greatest work of its kind that has ever yet been created by any mind in any time or place,” according to the Encyclopedia Britannica. It’s a history of the world written by an intellectual who lived in the 1300s. It focuses on how society and culture flow, including the creation of cities, politics, commerce and science. While much of what was believed then is now disproven after 700 more years of progress, it’s still very interesting to see what was understood at this time and the overall worldview when it’s all considered together.